North Carolina is a southerneastern state with diverse landscape with the Appalachian Mountains and the Atlantic Ocean on the coast. 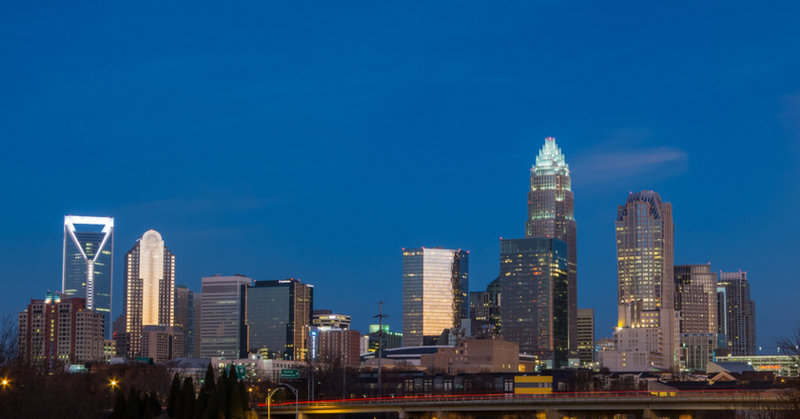 The largest city in North Carolina is Charlotte, home to the NFL Carolina Panthers football team. Many Americans are taking the best decision of their lives by entering a debt settlement program. One of the primary goals of the debt settlement program is to help you achieve the peace of mind that you deserve. Millions of Americans are carrying huge debt loads, what they need to know is that there is a debt settlement company that will help them to get out of debt. A debt negotiation program is designed to put a solution in place so that there is a light at the end of the ‘debt’ tunnel. If you are like the millions of Americans who are struggling with a large amount of debt, and find yourself having trouble meeting the deadlines for your bills, CuraDebt can help you with their free financial crisis assistance. You are not alone. Many others in North Carolina and in the country at whole are under severe financial stress as well. Did you know that the average American household has 15 credit cards? That provides an awful lot of opportunity for debt. When you combine that with things like car payments, student loans, and tax obligations it’s easy to see why so many Americans are struggling with this burden. If you need direct personal help with Debt Settlement in North Carolina or if you prefer specific advice on any debt situation, please take a moment to get in contact with a debt counselor here. Debt settlement is a legal and viable option for debt reduction. If you are planning to get out of debt you have to know that there are numerous factors to consider when choosing the best method of debt resolution for example entering a debt settlement program. Debt settlement is the process of negotiating a way out of debt. The negotiation takes place between you (or a third party) and your creditors. During the debt settlement process you and your creditors will agree upon a lump sum (less than the current total of your debt) that will be considered payment in full. Unlike debt consolidation, you will not continue making monthly payments. Instead, you will pay the agreed upon amount as a one time payment and have no further monthly payments afterwards. If you are struggling to meet your monthly bill requirements this can help ease the burden significantly. When an applicant applies for our Debt Settlement in North Carolina program, in analyzing their budget and financial profile, they automatically review it to determine what the best option for you is. There is another important factor when you are planning to enter a debt settlement program, the ability to settle the debt. Debt Settlement in North Carolina can help if you have debts that are past due, and now you have money to settle the debts. Please contact one of our debt settlement in North Carolina specialists now!